Got fries? Turn those plain frozen fries into something that you and the kids will devour with loaded oven fries. 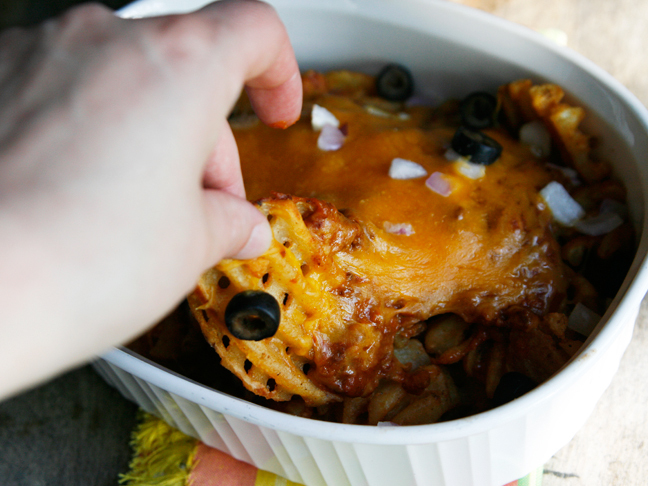 Topped with your favourite nacho toppings, these fries are the ultimate ballpark-at-home food. The perfect indulgent summer snack for the kids (or yourself!). Step 1: Preheat the oven to 375 degrees. 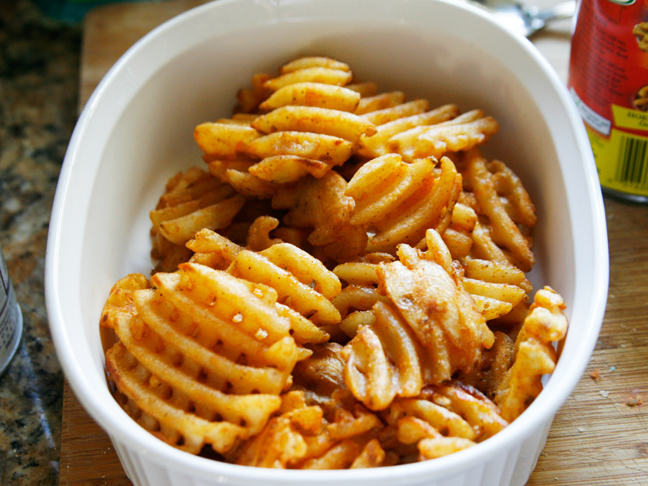 Arrange the prepared waffle fries in the bottom of an oven-safe dish. 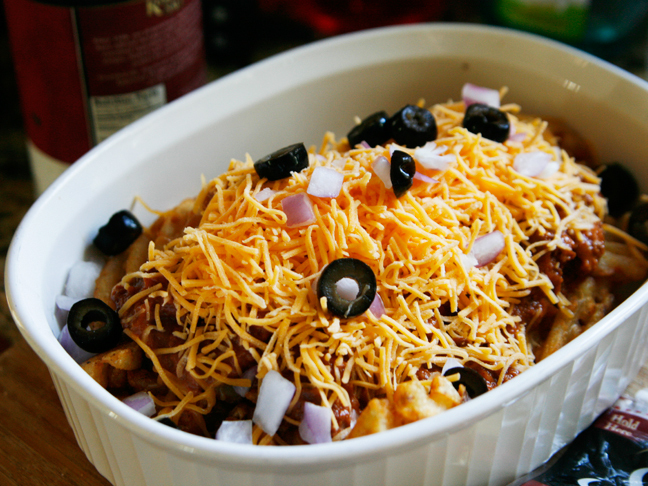 Step 2: Pile the chilli, cheese, red onions, and black olives on the waffle fries. 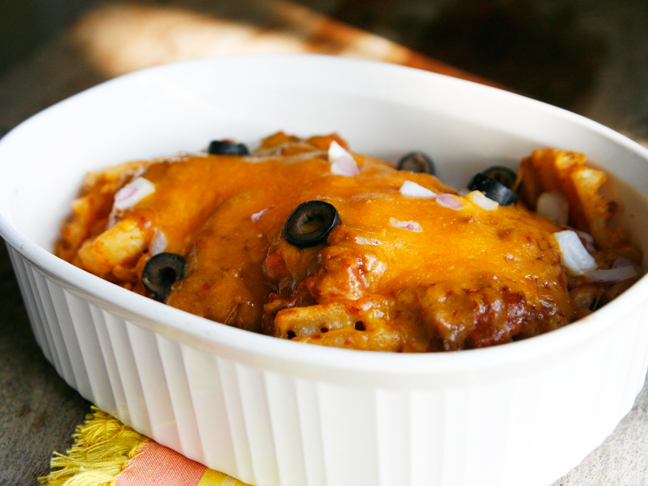 Step 3: Slide into the oven and bake for 10-15 minutes, until the cheese is melted.